How often do you find yourself caught up in a mental distraction, emotional outburst, internal fretting, anxiety, or agitated, and unable to free yourself from the grips of these emotional states? Like most of us, it's more often than not. Research is providing very exciting and compelling data about the benefits of mindfulness training. We have an amazing capacity to harness the power of a healthier and more stable mind through mindfulness meditation practices. We train on the cushion, so to speak, and then practice as we engage in life off the cushion. Please join this training and challenge yourself to living a more emotionally stable and kind life. Sherri is a Family Nurse Practitioner and Fellow of Integrative Medicine. Sherri, also, received her Mindfulness Facilitator’s Certificate from UCLA’s Mindful Awareness Research Center and is a Certified Teacher in Cultivating Emotional Balance, a training of balancing emotions with contemplative practices. As well, Sherri's meditation practice is guided by eminent Meditation Teacher's in the country, which have helped shape her spirited and creative approach in teaching meditation. Being an experienced meditator, she provides a unique blend of science and tradition which serves to guide a student in accessing and cultivating qualities to help balance the mind and body into a greater state of well-being. 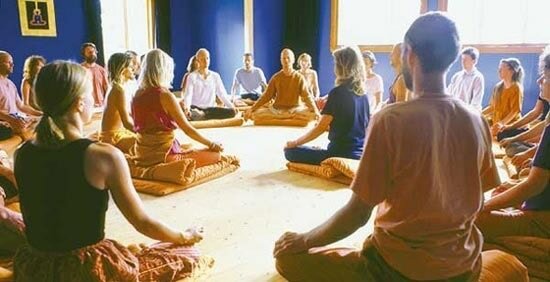 These classes are for beginners or the seasoned meditation practitioner.